The Metropolitan and City Police Orphans Fund are extremely grateful to the Bishop Ridley Church in Bexley who have been fund raising for the last 12 months for emergency service charities. 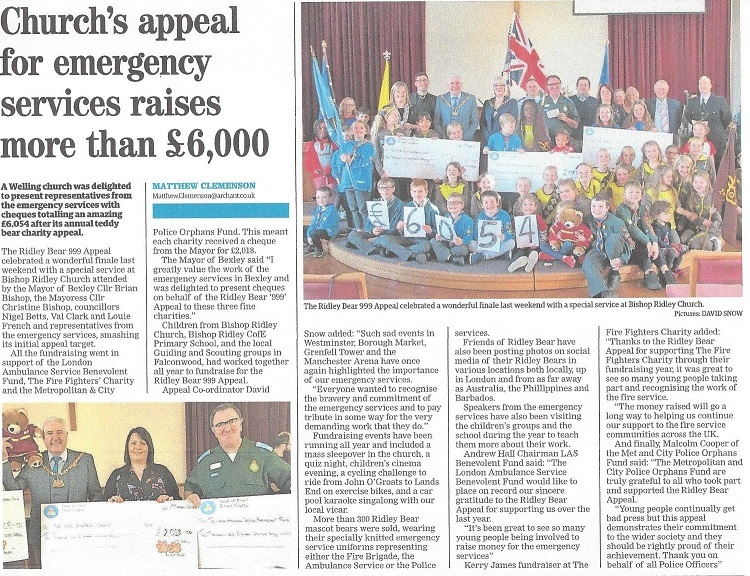 The attached article extracted from the local Bexley Times highlights the fantastic effort made by them and the local community. Peter Smyth our CEO said "All to often youngsters are much maligned but here is a great example of what is good in them and it this kind of thing that should be highlighted. We want to thank everyone who took part in the many events on the fantastic total raised"